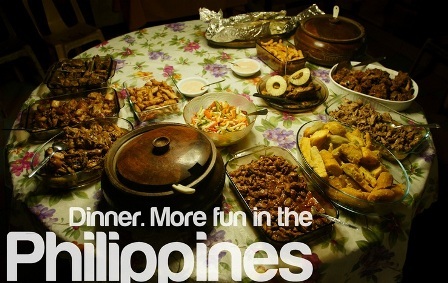 You are here: Send Load to the Philippines | Morbie Load Philippines » Philippines » What Does Your Favorite Filipino Food Say About You? Of all the resolutions, the hardest to do, I think, is eating less food. Especially for Filipinos… man, do we love to eat! And who can blame us? Go to any Filipino potluck house party and you’ll find enough food to feed an army. And what glorious food too! 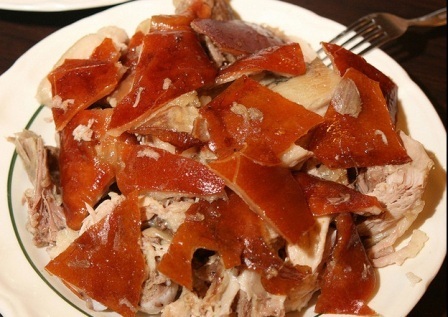 Imagine succulent lechon, all steaming and golden, the crispy skin making a snapping sound as you try to delicately pry it off. Or, what about that mountain of soft, tasty pancit that only your Auntie knows how to make? Let’s not even talk about your Uncle’s kaldereta, mildly spiced, saucy, and goes so well with one (or 5) cups of rice. Just thinking about it is making me drool. Sorry. Gross visual. But you can relate, right? There’s something about Filipino food that is so good, yet what it is, people can’t exactly pinpoint. It does not have the same high spices as Thai food, nor is it as bright and refreshing as Vietnamese, Korean and Japanese cuisine. What it is would be pure comfort food that tastes like it was cooked by the people who love you (insert sappy background music here). No seriously. It’s down to earth, stick to your ribs food that will comfort you on a cold and lonely night. And just like any other food that is good for your soul, it can be hell on your arteries and waistline. But when cooked right, you’ll find that you’ll crave it again and again. Every Pinoy has his favorite among the quintessential Filipino dishes, and if we were to go with the adage “you are what you eat”, we’d likely find some matches to personalities. Ever wonder what your favorite Filipino food says about you? 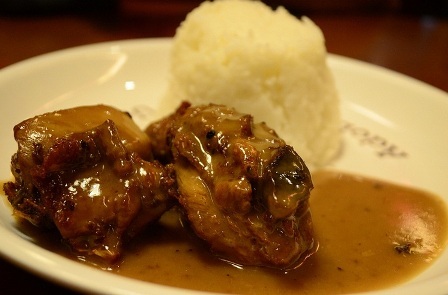 If you’re a fan of adobo, then you, my friend, are a classic. You’re not one for fads, and you stubbornly cling to the belief that all you need in life to be stylish are your worn Levis and white cotton shirts. Bravo! A classic Pinoy, you scoff at newfangled cuisine. You’ll be the one muttering gems such as these: Cronuts? What the heck are those anyway? You’d rather have an honest-to -goodness plain sugar donut from the corner bakery. And what in blazes is cookie butter? What’s wrong with the classic Lily’s Peanut Butter? It’s yummy, and once the jar is empty you can use it as a drinking glass. You are old school, even in your choice of karaoke songs to belt out when in the midst of family gatherings. Your relatives know enough to pass the Magic Sing to you once My Way or Just Oncecomes on. Just like the classic blend of chicken or pork, vinegar, soy sauce and garlic makes a dish that is comforting to the most homesick of Pinoys, you prefer the people around you to be genuine, unpretentious and unable to spew BS. Oh yeah! The centerpiece of any self-respecting Pinoy spread is, without a doubt, the lechon. All 10 to 12 pounds of roast pork, presented with the blood-red apple in its gaping mouth. You’ll know there’s lechon in the house when people get that gleam in their eye, and one thought is on all of their minds: Must.Get.The.Skin. Just like a demanding girlfriend, lechon takes patience and much attention. To get the whole thing to cook through, it’s put through a gigantic spit that rotates for hours so you get that nicely cooked meat inside without burning even an inch of that beautiful, crackly skin. If you’re young, family members will encourage you to eat all you like, while your arteries are still supple and you can scarf down anything in sight without gaining an ounce. But once you hit your mid-thirties and your hairline is receding, or you have enough of a muffin top that will make you want to curse skinny jeans, then you might be admonished to take it slow with the lechon. Quite understandable, for though this exquisite food can make you swoon with delight, it will play havoc with your cholesterol levels. It will take more than a swig of unsweetened pineapple juice rich in Vitamins A to Z to offset the effects on your body. Personally, I might be inclined to applaud if you’re one of those people in their 50’s or so who pile a separate plate high with lechon and boldly stare back at anyone giving them a pointed gaze/pursed lips/head shake combination over the blatant disregard for their health. Your main reasoning is, people kick the bucket all the time, and some people kick it without knowing what good cuisine is. You only live once (YOLO) is your personal anthem. You are one who laughs in the face of danger, cholesterol levels be hanged! You’re all swagger when you walk up to a club/mall/ train station. You’re very picky with your clothes, and if you can’t afford the latest, you somehow manage to turn drab into fab. You’re the person with the Instagram account with hashtags galore of #selfie, #yummyfood and #mybreakfast. 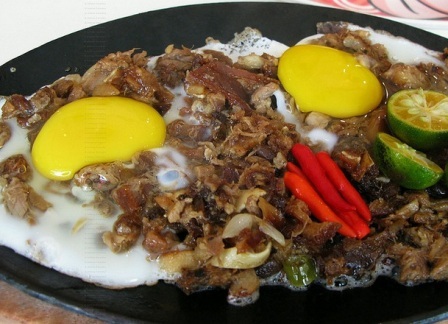 Just like sisig has the intriguing mix of crunchy, soft and chewy textures that come from the pork’s cheeks, head and liver, you are a mix of classy and kitschy. You are often surrounded by people and generally get along with anybody, just like sisig goes perfectly with a nice cold bottle of beer. But watch out, you’ve got a reputation for that sizzling temper, so it’s best for everyone to back away while you’re in a hissy fit. Yes, Chicken Inasal is roast chicken, but it’s no ordinary roast chicken. 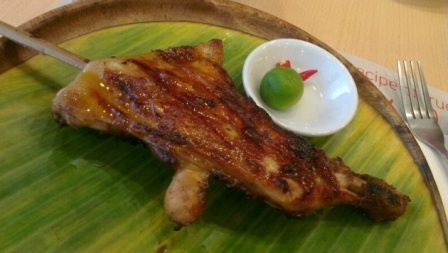 This is chicken marinated in calamansi, lemongrass, salt, garlic and pepper and liberally brushed with achuete oil. The result is an addictive chicken dish that deserves to be paired with unlimited rice or Unli-Rice, preferably with a drizzle or more achuete oil on top. You are a classic person with a twist. Just when people thought you were a boreor average at best, you suddenly bust out an extraordinary talent, such as being wickedly good with magic tricks, or having encyclopedic knowledge of all the famous lines in every movie ever made… or if you’re fabulous, a fantastic memory of every answer every Miss Universe title holder gave during the Q and A portion since the beginning of time. Suddenly, you become the most interesting person anyone’s ever met. It’s kind of like after being the nobody in highschool, you suddenly become the big man or woman on campus. Props to you! Stay tuned for part 2 of What Does Your Favorite Filipino Food Say About You.